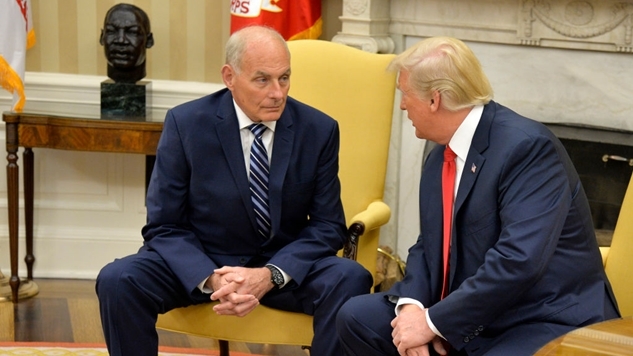 President Trump’s Chief of Staff is former General John Kelly, and he has been hailed as the man to bring order and stability to the White House. Well, now the White House is in complete disarray, and Kelly’s office is the entire reason why. Staff secretary Rob Porter is Kelly’s deputy, and he was responsible for vetting all the paperwork that reached Trump’s desk. I use the past tense because he stepped down today. The following day, Porter’s first wife came forward with evidence of abuse. National security lawyer Bradley P. Moss outlined on Twitter why this portion of this disheartening saga is such a big deal. Even then, more times than not I cannot successfully put the agency's mind at ease and the client loses his/her clearance (yes, I've seen it on both sides). Domestic abuse is not something they joke around about. Porter is denying the allegations, and his former boss, Republican Senator Orrin Hatch, is also defending him. Just asked him if he believes Porter's ex-wives allegations? For those keeping score at home, the upper echelons of the Republican Party have vigorously defended white supremacists, a child molester and now a credibly accused domestic abuser in less than a year. The party of Lincoln has become the party of immoral depravity.